The structure of DNA proposed by James Watson and Francis Crick in 1953 was one of the most important scientific discoveries of the twentieth century, transforming biology, giving medicine new impetus, and providing a foundation for the new industry of biotechnology. 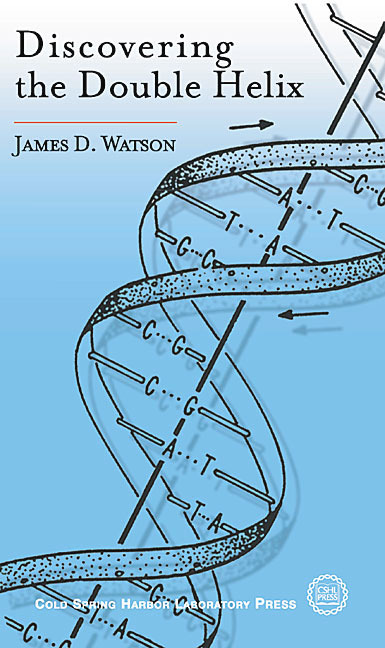 Jim Watson's best-selling memoir of the events leading to this discovery, The Double Helix, has enthralled millions of readers since its publication in 1968. In this videotaped lecture, recorded live at Cold Spring Harbor Laboratory in November 1999, Dr. Watson retraces those events in a very personal reminiscence of the period and the people involved. This is an account of one of the great dramas of science, told from the intimate perspective of a participant who, aged 25 at the time of the discovery, has become one of the intellectual leaders of our time. James D. Watson was Director of Cold Spring Harbor Laboratory, New York, from 1968 to 1993 and is now its President. He was the first Director of the National Center for Human Genome Research of the National Institutes of Health from 1989 to 1992. Dr. Watson is a member of the National Academy of Sciences and Royal Society and has received many awards and honors, including the Presidential Medal of Freedom and the National Medal of Science. In addition to The Double Helix, his books include Molecular Biology of the Gene, Molecular Biology of the Cell, Recombinant DNA, and A Passion for DNA. "A highly entertaining lecture, liberally sprinkled with the names and personality quirks of the principal playersMaurice Wilkins, Rosalind Franklin, Francis Crick, and James Watson himselfand the peripheral playerssuch as Erwin Chargaff, Linus Pauling, and othersthe video will be enjoyed by biologists and students of biology. Dr. Watson details the brainstorming involved in the process of elucidating the structure of DNA in a personal and often humorous fashion. He brings to life both the process of science and the humanity of the scientists."